Plastic grids for the riding arena and horse walkers, 0.99 m x 1.32 m and 30mm thick. 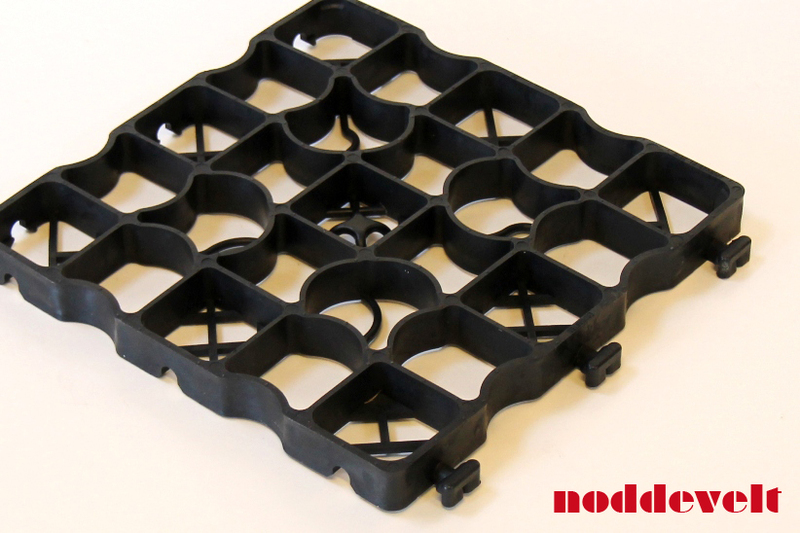 Plastic grids from Noddevelt are the perfect solution to a flat and level surface. Product properties; soil stabilizer, frost and UV resistant, high load capacity, elastic, durable (drainage), ammonia resistant and fillable with sand, gravel, shells or crushed rock. When installing your horse walker or riding arena it is important that it is well drained. In this way you can use the arena and walker all year round. For good drainage you should build the soil in your arena and walker in various layers. But when the layers of rubble, gravel and sand mix together, the soil drainage ability will quickly diminish. Plastic grids keep the top layer in the walker or exerciser and arena separated from the bottom layers. 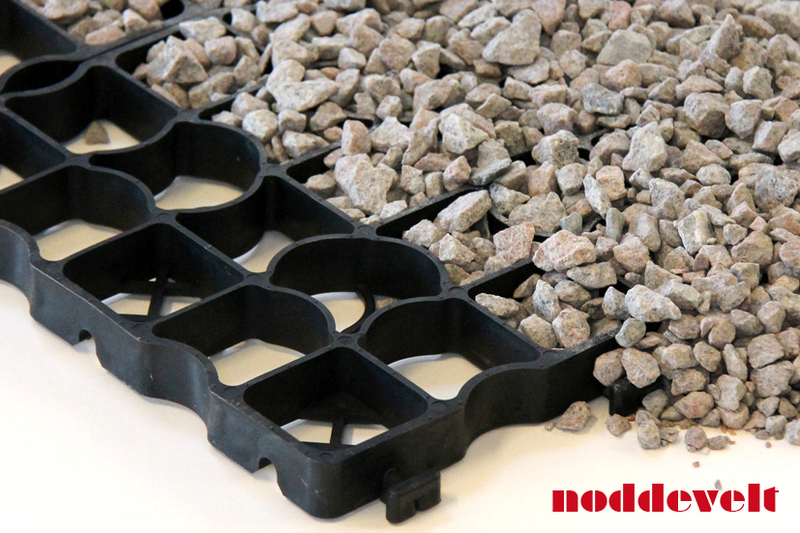 The plastic grids are made of recycled polythene and are the ideal solution for durable soil stabilization. Horses often walk at the same place in a riding arena, walker or exerciser. In that way they create a rut in the sand. Plastic grids prevent the horses from walking a rut. 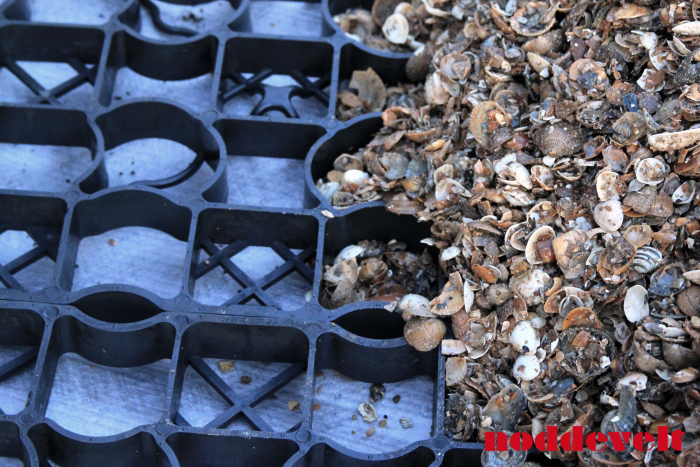 The grids are best to be filled with gravel or shells. The plastic grids in combination with gravel or shells provides for a solid bottom layer for the 4 to 8 centimeters top layer in, for example, a horse exerciser or riding arena. 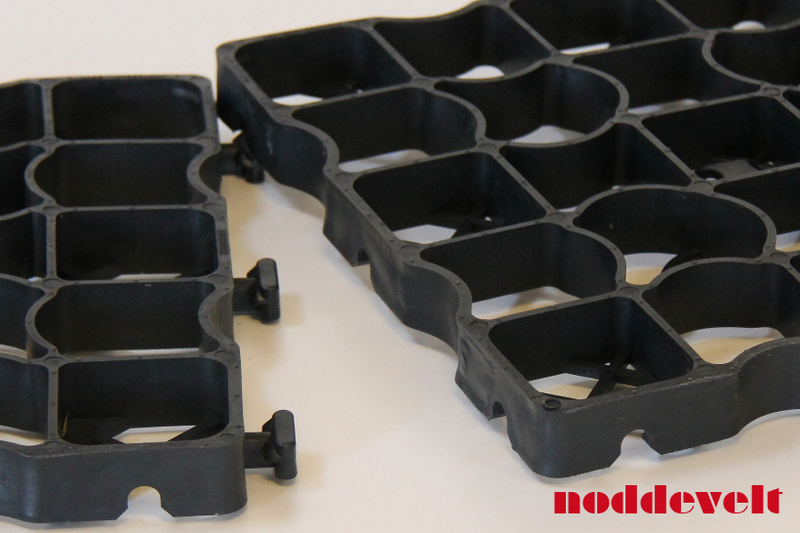 The plastic grids are highly suitable for widening and constructing driveways and paths.